I have read and loved Paul Yoon’s previous books, the short novel The Snow Hunters and Once the Shore, a collection of short stories. 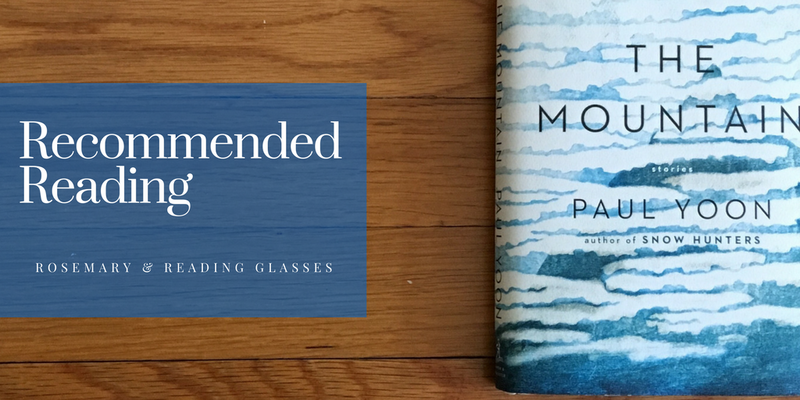 The Mountain*, a collection of six exquisite stories, is a gorgeous addition to his body of work. Each of these six stories is a gem, remarkable since they are all, superficially, quite different. Settings range from upstate New York to the eastern reaches of Russia, from England to China, from the 1920s to slightly beyond the present day. The main characters are men and women, propelled by trauma and circumstance to seek connection with others and answers about their pasts. In “A Willow and the Moon,” a man, after working at a London hospital during the Blitz, returns to the sanitarium in upstate New York where his mother tended to World War One veterans and succumbed to morphine addiction. Karine, one of the two protagonists of “Still a Fire,” is also a morphine addict, displaced after the Second World War. In France, she nurses Mikel, another displaced person, after a terrible accident; Mikel’s tale of piecing together work and living in a shanty makes up the first part of the story. Antje is a German expat working in Spain, afraid that her marriage to her a quiet hotel manager is disintegrating. On a whim, she accompanies a hotel guest on a trip to Galicia, in a story of the same name. Further east, Misha and Kostya, the grandchildren of Korean laborers imprisoned by the Japanese, reunite in their native Russia, and find that years apart have changed them both (“Vladivostok Station”). In “The Mountain,” Faye is persuaded to leave South Korea and return to China, where she begins work at a sweatshop as her past breaks into her body. And in “Milner Field,” a man recalls a story his father told him about his childhood while he waits for the arrival of his daughter at an English country house. These are bare-bones descriptions of the stories’ premises. 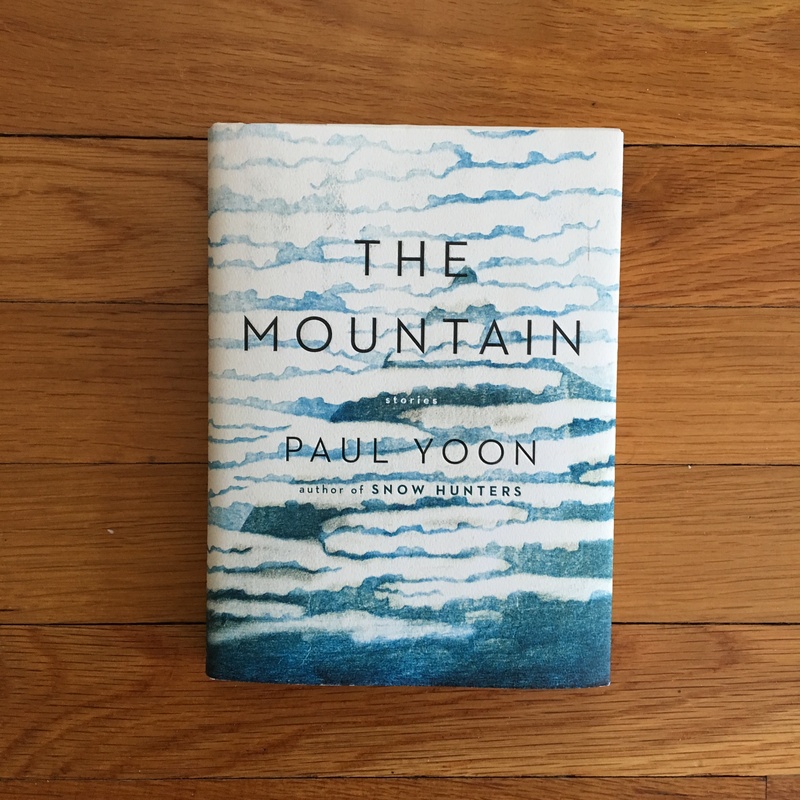 Each story is perfectly paced, with details that shine in Mr. Yoon’s clean, measured prose. In these pages we meet the lost and the lonely, trace the gaps left by the missing (often mothers), feel the weight of suffering but not despair. For a short book to contain so much humanity is remarkable. Highly recommended. I’ve always meant to read something by Paul Yoon. Would you recommend starting with these stories, or with his novel? Your phrase (and possibly his), “as the past breaks into her body” catches my eye. And, of course, short stories. The fact that each of these seems so different appeals to me, although I also really enjoy linked collections. I’m glad to hear that your expectations were met! This one sounds really good, too. I haven’t been receiving my messages from your blog even though I checked the settings, so I forgot to look to see if you had published any posts recently. I hope you are doing well.